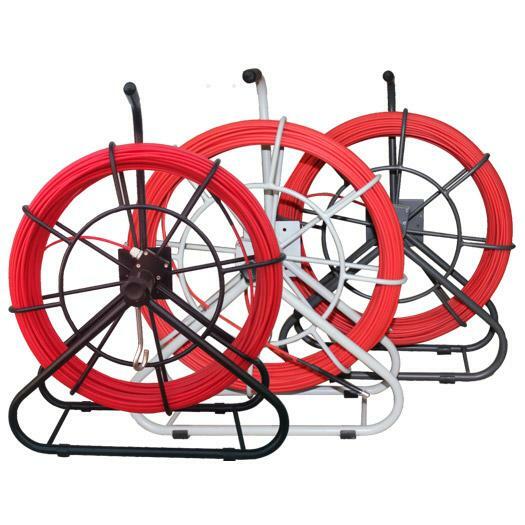 CTRAK Pipetraker Traceable Maxi Duct Rodder is an ideal accessory for utilization with pipe & cable locators, to EXTEND the capability of the locating equipment’s to identify location & route of buried nonmetallic ducts or telecom pipes. 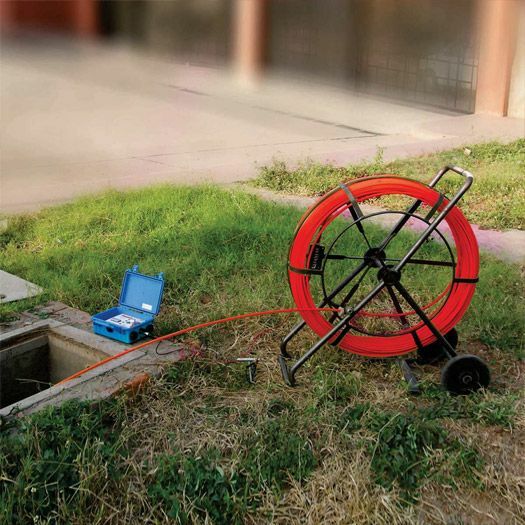 The PipeTraker Traceable Maxi Duct rodder is based on a sturdy composite fiberglass rod of 9mm dia with a built in 1mm copper wire that is rigid yet flexible enough to guide into nonmetallic HDPE ducts, plastic pipes and metal pipes up to lengths of 300 meters / 1000 feet. 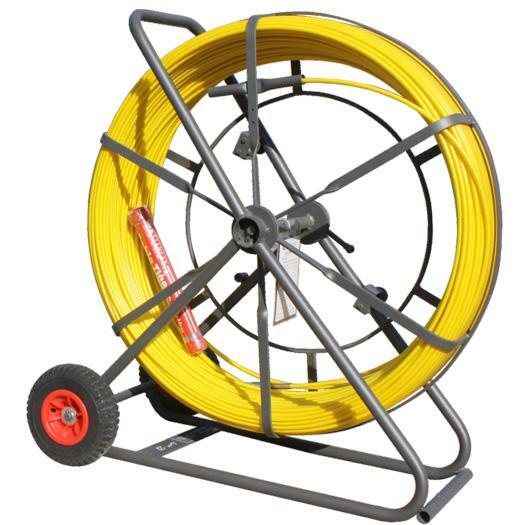 The CTRAK traceable duct rodder is provided in a galvanized metal tube frame with an integral brake and wheels. 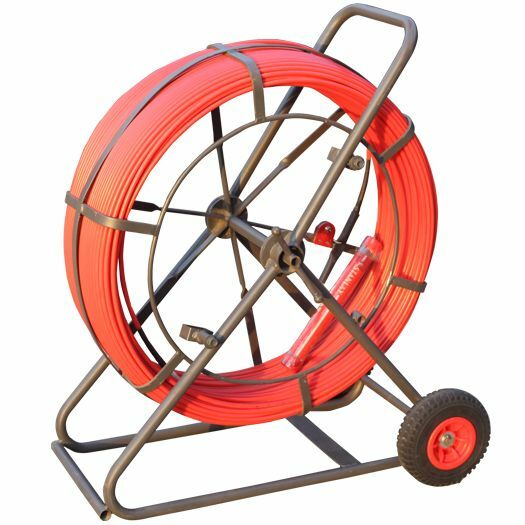 The base of the traceable rod contains a terminal that provides a connection to the inbuilt copper tracer wire of the duct rodder. 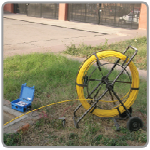 The traceable rodder when energized with a frequency excites the full length of the rodder to enable trace the buried pipe. 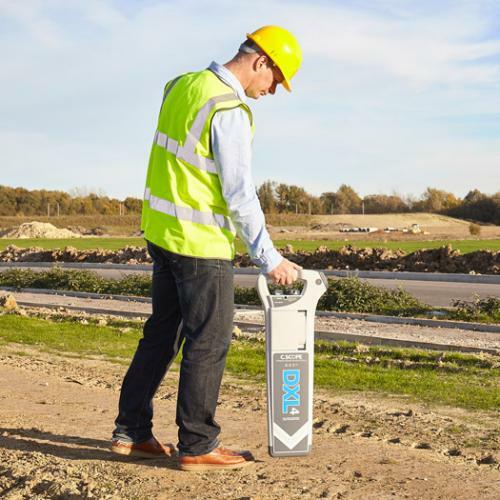 Use any Digital Pipe & cable locating receiver to trace the route of the Pipe. 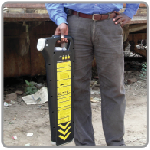 Available in two length options: 200m/650feet and 300m/1000feet. See the CTRAK Product video for an animated description of how to use the CTRAK traceable rodder to trace nonmetallic pipes. Size of Copper Wire 1mm Dia. 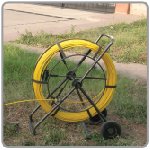 STEP 1 : Insert rod into manhole and push into metallic or non metallic pipe /duct which is to be route traced. STEP 2 : The terminal box of the PipeTraker provides the connection to the inbuilt copper trace wire of the duct rodder. 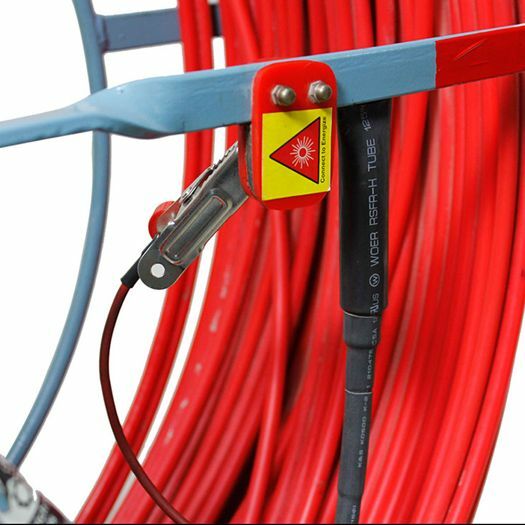 STEP 3 : Energise the traceable duct rodder with any frequency such as 8/ 16/33/64 /80 KHz etc using any signal excitor/ transmitter. 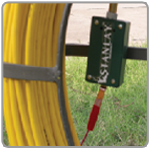 STEP 4 : Trace route, depth or blockage points of underground conduit with precision using any digital or analog receiver.